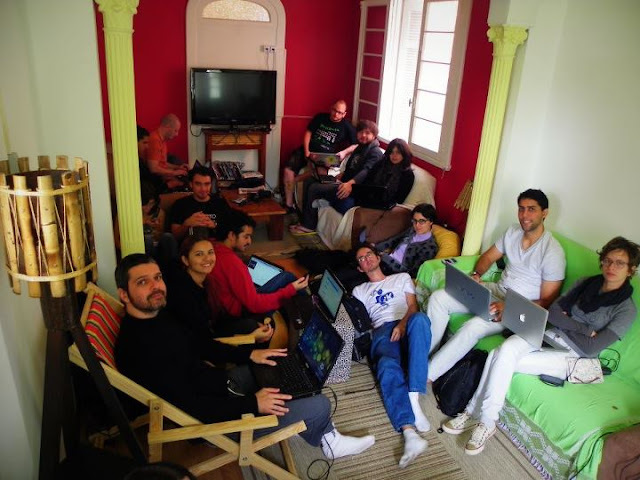 Other subjects in question were: the change of the KDE-BR portal from Wikimedia to a CMS format, events that we plan to represent KDE, strategies to reach both the common user and possible new contributors, how to raise money to support our activities and so on. Most of these topics needs a more careful discussion, so we'll continue it later in the mailing list. 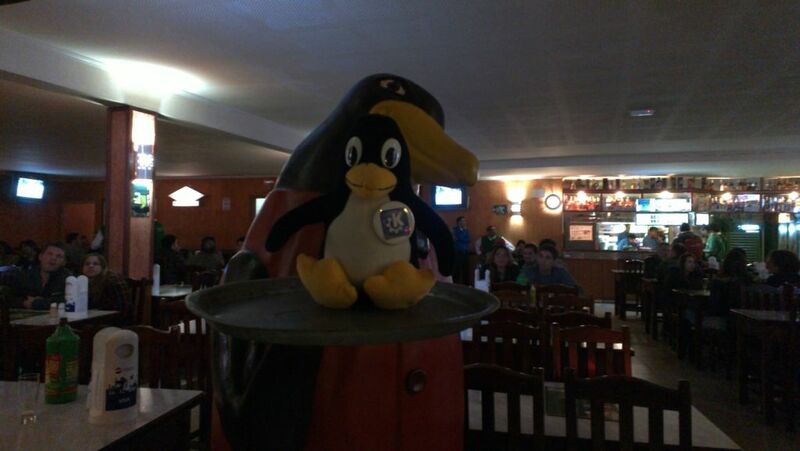 The official Latin America KDE Tux insisted to have a photo with his big brother in the Penguin's Bar. In the night we gone out to have dinner, tell jokes and to have fun. It was an amazing night and we definitely laugthed our head of when Luis performed his standup show "Metaphor-oriented programming". These meetings makes me like KDE even more. Not only for the software, but for people involved as well. Today I'm here trying to solve a struggle between Amarok and libtomahawk for my GSoC. It's sad that I'm leaving tomorrow, but on the other side I've renewed my energies to keep working for the community even more. Keep rockin' in the free world!